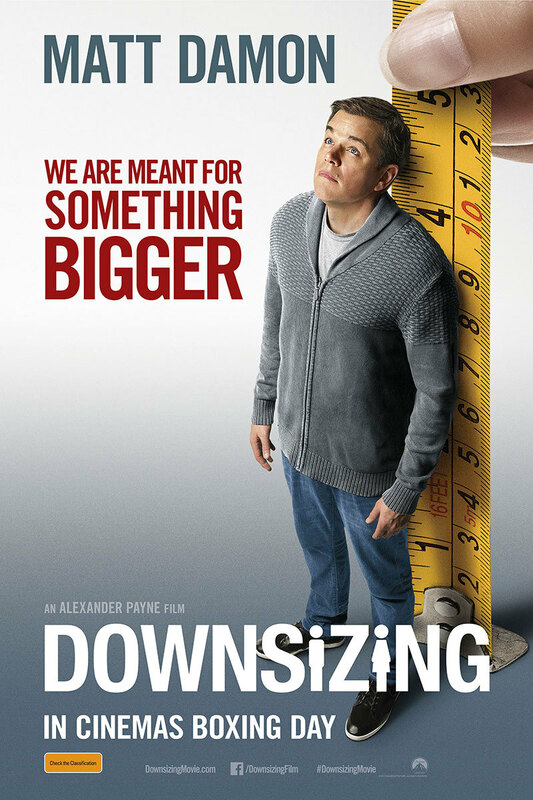 Downsizing (2017) is a science fiction movie and social satire starring Matt Damon as Paul Safranek and Hong Chau as Ngoc Lan Tran. The film's focus is on how science will ultimately save the planet. To this end, scientists develop the process of 'downsizing' which shrinks people to about 12cm tall. As overpopulation is blamed for all of humanity's woes, downsizing is marketed as the next best thing and the Leisureland community for downsized humans is the pick of the crop. Watching the film, one notices that everyone's motivation to downsize is different. Some people just want to make money, party every night, not work, or just "live like kings" in fancy mansions. 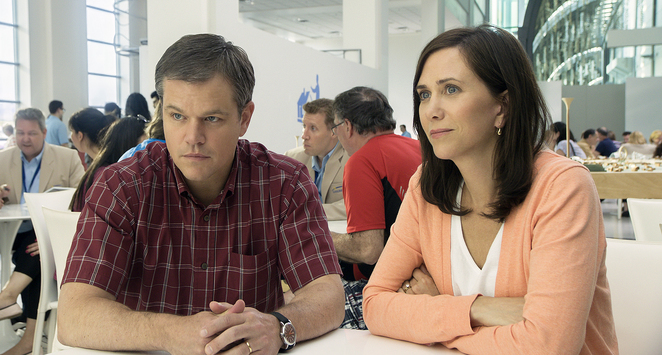 Eventually, Paul and his wife Audrey (played by Kristen Wiig) are tempted to downsize to solve all their financial troubles. But Audrey changes her mind at the last minute because she doesn't want to leave her family and friends. In essence, Audrey's betrayal is a statement about her lack of honesty, love and faith as she forces Paul to start all over again on his own. The final insult happens when their subsequent divorce sees Paul trade his Leisureland mansion for a tiny apartment. As the film progresses, the downsized communities can be viewed as microcosms of the real world. Science hasn't really solved any problems at all. There may be no crime in Leisureland, but all the usual problems of sickness and poverty still exist although they are hidden away in slums. Ultimately, it is Ngoc Lan Tran's role as the Vietnamese political activist and humanitarian who shows Paul the reality behind Leisureland's fake facade. Of all the characters, it is Ngoc Lan Tran who keeps this ridiculous plot together and also gives Paul meaning in his empty life as a call centre operator. Interestingly, it is Paul's upstairs neighbour, Dusan Mirkovic (played by Christoph Waltz), who understands the game of life the best and his amusing comments about people and himself provide both an injection of much-needed comedy and a harsh reality check. In contrast, Paul comes across as the flawed hero who searches for meaning in his life and is ready to throw away everything to follow the original downsized community to an underground bunker in Norway to save the human species. But he eventually comes to his senses and realises that helping the poor in Leisureland is more rewarding than saving the human race. I rate this film 2 out of 5 stars. Reasons to Like Mondays on the Sunshine Coast.